• Who is your executive sponsor? • How will other key staff benefit from social media adoption and how will it best be shared in the organization? • What does your phase 1 & 2 social media team look like? • Who is already involved with social media activities in the organization? • Who are your assets and who are your liabilities? • Brand centric concepts like company name, products, services, executives. • Customer centric concepts like informal references to brand, products, services and topics of interest to their needs. • Prospects – what kinds of questions are prospective customers asking online? • Competitors – monitor competing company social participation for comparison and for opportunity. • Software – Social media monitoring, publishing, dashboard management, promotion, analytics/tracking and measurement. • People – Is there a social media manager or community manage? If not, who will manage the listening effort? • Workflow & effect on other departments – When listening efforts uncover customer service issues, sales opportunities, recruiting or media opportunities, are appropriate departments aware they will be involved? • Customer engagement – Listening and learning from customers also involves interaction. What social media guidelines have been defined for employee interactions on the social web? How will you know such engagement activity is successful? • Uncover sales opportunity – Determine baseline measurements for prospecting conversations and set goals based on potential. • Customer service – Can social participation help improve customer service? Will there be staff to monitor social channels and empowered to solve problems there? • Benchmarks – Goal setting will take some exploration and benchmark measurements need to start somewhere. Evolve and revisit. • KPIs – What are the proxies to success? Mentions, links, traffic, interactions, retweets, fans, friends, followers? Trend them, don’t just take snapshots. • Measurement – Determine what you can reasonably measure and against what standard? Social media data can overwhelm, so be sure you can filter what’s meaningful out of the noise. • Reporting – Figure out what the folks upstairs are most motivated by and give it to them. Use reporting to close the feedback loop with community managers and customer facing staff so they can see the social media effect of their efforts. • Develop personas based on what you already know as well as the information collected from social media listening and direct engagement. • Identify preferences for information discovery, consumption and sharing. 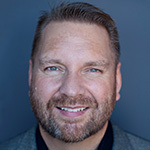 • Needs – What are the information and engagement needs of the people you’re trying to connect with? • Preferred channels – Where do your customers spend time and what are the strongest influences? • Social behaviors – Do customers create, share, curate or lurk? Do they behave differently on different social channels? • Methods of communicating preferences are pretty important. Sending a Tweet might be ok with some people, while others prefer a private message or email. • Content – Decide what socially distributed content you can commit to. Decide how content created as a result of social interactions and sharing can be leveraged for marketing online. • Engagement – Will customer engagement via social channels be a phased approach or will you “launch” a campaign and maintain? Decide whether to lead or react to information streams picked up via social media monitoring and participation in social communities. • Vision & communication – Develop your vision for what the company and brand stands for in the context of the social web. How will that be communicated? What social media guidelines are in place regarding messaging for employees and social media teams? • React or Lead – Listening solely to gain information that guides social activities is very different that taking a stand and leading customers to social channels. Most corporate social media marketing is a mix but leadership on the social web is lacking overall amongst brands and is therefore a stark opportunity. • Content – Allocate resources for content creation guided by a social editorial schedule. • Community engagement – Hire or train a community manager? Develop social media guidelines for employees. • Reporting/dashboard – Social media monitoring tools that can trend high level data provide priceless feedback for executives. • Social networks – Identify appropriate social networks and participate. Create training materials internally for employees along with guidelines for commenting, sharing, etc. • Blogging – There are rare instances when companies shouldn’t have a blog of some kind. Blogs can effectively serve as a hub for social participation in multiple channels. • Media sharing – Make it easy for content to be shared amongst social news, bookmarking, networks and Twitter. • Microcontent – Leverage Twitter messaging right along with any other content promoted via social channels. • Which social networks – Social media monitoring and first hand participation will provide insight into which social networks make the most sense for growing networks and reaching customers. • Fan page or group? According to purpose a Facebook fan page or group should be created. Fan pages are best for companies and group pages tend to work best for special interest groups or associations. • Coordination between social channels – Most companies operate social activities in silos and do not coordinate. Working together, message distribution and reach can be amplified significantly, if content is coordinated between channels. • Tools – Measurement for a large organization using one tool isn’t practical, despite what software vendors will tell you. The best tool might not be “the best tool” for your company when ease of use and implementation means broader adoption compared to something that’s best in class. • Account for testing – Companies that have not implemented formal social participation would do well to create accounts for testing and training purposes. These accounts may or may not reflect the brand. This gives an opportunity for training before launching more explicit programs. • Identify success metrics – How will you know your social media efforts are successful? Identify metrics that are meaningful to reaching your business goals as well as outcomes. • Adjustable goals – Understand that while you set initial goals, when the “rubber hits the road” most companies find there is a need to adjust objectives as they come to better understand the nature of social participation amongst their customer base. • What does ROI mean to you? A return on investment with social media marketing means different things to different companies. It’s not all about increasing revenue, although it should never be understated how important being able to associate efforts to business outcomes is. Lowering costs are just as valuable as increasing top of the funnel leads and sales. • Reporting formats & distribution – From dashboards to executive level summaries, it’s important to create report formats that are meaningful to the different stakeholders in your organization. • Levels of organizational reporting – With a small company, reporting is pretty straightforward, but with large or complex organizations, decisions need to be made as to whether reporting is segmented for specific business units, divisions or even departments. That adds extra workload so be ready to make the case. • Centralized and distributed – Companies that operate their social media initiatives all from corporate tend to focus on aggregated reporting for the business overall. When social media is a function of different business entities within the company, reporting is specific to those areas but must also be rolled up to an executive summary for management. • Software – There are a wide variety of social media monitoring software to choose from as well as software for the management of social media assets, promotion and analytics. Choose wisely, be open to testing and understand that while you might want the best in class, if it can’t be implemented in a practical way across your organization, you might need to go with something that you can actually use, right now. • Human analysis & management – As with web analytics, social media analytics reaps the biggest rewards when there is an analytics specialist to “make sense” of the data. While such an expense might not seem likely at the start, it’s something that should be planned for as the program gains momentum. We’ve also developed tactical checklists for application specific social media marketing efforts through Twitter, Facebook, Blogs, LinkedIn, etc. and I’m debating how we’ll share those. I’m thinking of doing them as a webinar instead of blog posts. What social media checklists have you made to serve as a guide? No list is perfect of course and I’ve certainly left things out. What would you add? I’d add “personal time.” It’s so easy to get swept up into engaging online that you lose sight of your own personal health…and end up social media marketing yourself into the dust. Always take time for number one. You’ll do far better work that way. What? Free time? We can rest when we’re dead right? That’s a bit harsh I suppose 🙂 Good point – keep yourself healthy or the rest won’t matter. Really useful stuff! Thanks, Lee! Such a comprehensive checklist! Great guidelines to follow for someone just starting out. It has become such second nature to so many of us, that I’m glad someone backtracked and wrote this all down. Sometimes, trying to teach newbies is hard and we sound like we’re speaking another language. The thing is Andy, this is just the tip of the social media iceberg. You’ve given us a practical checklist with loads of useful ideas. Glad you like – put them in action and please come back to share your progress. This is a fantastic list Lee that I think a lot of people will find quite useful. I will be sharing this post with others. Thanks for a well thought out checklist for social media marketing. I still too new to this to provide any helpful input on what’s ‘missing’, but it looks pretty complete from this newbie’s perspective. Wow! It took me a while to read this entirely, but well worth it. This is only for the serious at heart social media professionals. Great list, it is not a 101 list, nice to read a more advance post beyond selling the idea of social media. Very thorough & definitely worth passing along. Thanks for sharing. Good to hear it’s helpful. High level, but useful to the right people and companies. Wow! Another one of those rare yet informative posts I stumbled upon and I’d say thanks a lot for sharing this. Now, I think there are still people out there who think that running a social media marketing campaign is free and this needs to be corrected; signing up in social networking sites can come free but human effort to maintain these is definitely not. Exactly – there’s nothing free about it in the long run and also there’s a ton of value if you know how to evaluate impact on business goals. Exactly. The best way to find out those preferences is through monitoring activity and participation. Great list and so helpful in putting my thoughts down! Thanks! Thanks for that! Fantastic guide. I read so much about how to enter into social media, but rarely is it this comprohensive logical and true! A good list, so much for an SEO to be more efficient. A great post on practical implementation of social networking. It is true that people have an SEO focus to social marketing but it is much beyond that. How feasible do you think is it for small companies to have dedicated social marketing teams ? or an internal team working in other functions and working part time on social marketing will make more sense ? Valuable checklist! two thumbs up for you. This is absolutely great and helpful to everyone. Everyone should realize that for every action you do there’s is justifiable return for sure. If you know what you are doing just like using a social media you know exactly where to go. Remember that we should know our audience first before embarking your time and effort to something. Need I say more, its really comprehensive…great stuff. Great list. I was at a seminar for real estate agents yhe other day that was almost a social media motivational session. Speaker after speaker told social media success stories. The speakers had most of the agents in the room pumped up about starting their social media programs. However, there was barely any discussion of how much time an effort effective social media requires. This valuable outline is a nice counterpoint, indicating all the steps required to do it tight. Thanks. Thanks Randy, glad you found it useful. Those pump up sessions are usually designed to sell services, which isn’t bad, but there are many things you can do yourself. Thank you for all of your information on social marketing, I have been trying to find ways to promote my site without spamming everyone and by using your information I can now began a journey into social marketing. Glad you found it useful – be sure to check out our social media category, there are many other useful posts. Awesome post, very comprehensive. Any company interested in social marketing should read this. I think the hardest part is networking all the parts of a company together so that whoever is in charge of posting to social networks gets content in on time for promotions, etc. Coordination is key – absolutely. Great comprehensive information on social marketing. Thank you so much for sharing this information. It was gr8 help for me in my Presentation on Social Media Marketing. “This is a very useful information! Thumbs up!! 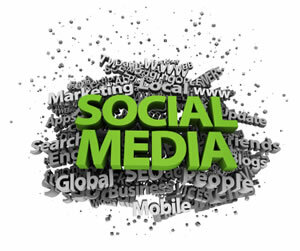 Thank you for all these information with social marketing, great list! Excellent list with lots to think about. I see real potential for using this not only for business but also for the not-for-profit sector – just need to tweak a few words. That sector is also looking for guidance in implementing social media. Thanks for the list! Great job! Muchas muchas gracias. Save it in my favoirite articles list. I hope to read more good stuff from you. A must have checklist! Thanks for sharing your checklist. It will be a good list for social media management and for online people. I love this very comprehensive article. I have recently published an eBook “Social Media Marketing Strategies” which provides some effective ideas for promotion and marketing. Implementing your suggestions toward the specific strategies I have outlined will no doubt produce amazing results for people. Grab your copy of my eBook here: http://bit.ly/vcefCV I hope you and your readers enjoy! Yha You Are Absolutely Correct in this Way. Awesome list Lee. You deserve all the praise this article has! !